Diving is fun! Diving is exciting! So would most people who’ve tried it describe their first diving experience. Diving is not only putting on some gear, taking some courses in the swimming pool, or at the beachside to then shift to the underwater world gradually. Instead you should rather see diving as a sort of adventure waiting to happen. A lot of new impressions, a bunch of new exciting moments that no one can ever take from you ever again. 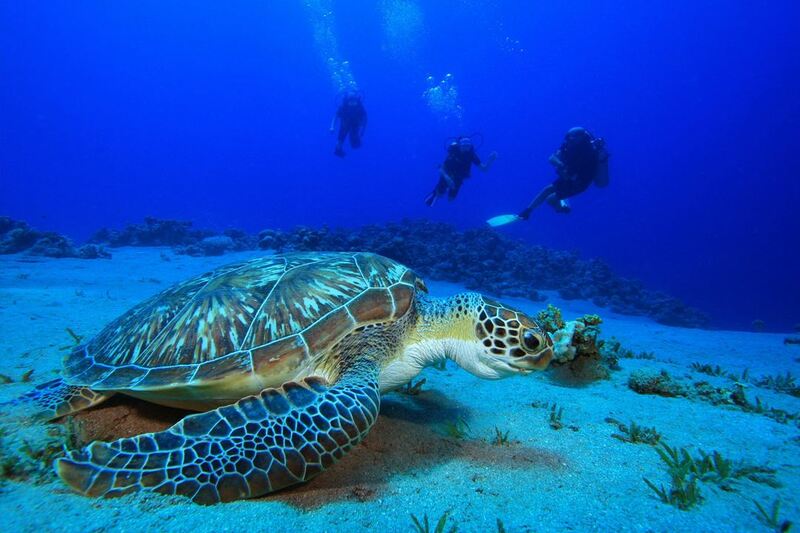 Diving is majestic, diving is…. a sort of exclusive view into a completely different world. You could go diving many places in the world. There are an abundance of diving spots around the globe, one more beautiful than the other. We humbly list ourselves only as one of these spots, but if you happen to travel to Phuket, you should not miss the riffs and corals that awaits you below the waves. Nautilus Diving is located right on the Kata Beach, only a stone-throw away from the sea, only a few steps from where your adventures are waiting to happen. Here you’ll get instructed in the use of the diving gear, get introduced to the instructors, and of course your fellowship of divers that soon enough will go on adventure with you. Taking the courses with Nautilus Diving is completely safe, but if you have a medical condition or any injury, and you’re not so sure if you can partake, then don’t hesitate to get in touch with us. We’ll gladly walk you through the requirements for going diving, we offer you different solutions if you’d like and special attention, if you’re not so sure-afoot or fit. At Nautilus Diving we offer a solution for almost anyone, so feel free to ask us before you book with us. When talking about the best season to go diving, the fun begins every year in October and stretches all the way till April. At some point in the month of October the winds coming from the west will come to a halt, and the wind will instead start to come from the North-east. With this sudden weather change the sea stops rolling on to the west coast of Phuket and very quickly the sea becomes flat and calm, the underwater visibility for the scuba divers improves and the best season for scuba diving is under way on Phuket. In April, when the season comes to an end and the winds are turning again, most of our frequent customers then switch the diving equipment out with a SUP or Surfboard, ready to conquer the waves that follow with the tide. If you want to read more about that possibility, please click here (link to: http://www.phuketsurfing.com/). We hope that you’ll come dive with us while the season still is on its high point. If you’d rather go surfing or paddling, feel free to contact us as well, so we can guide you to our partner shop, Phuket Surfing, also located on Kata Beach.